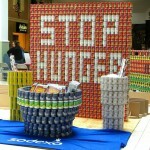 On April 3rd, STYP is teaming up with Tioga State Bank for the Southern Tier’s 3rd Annual CANSTRUCTION! Canstruction® is an international hunger-relief competition where architects, engineers, contractors, and community members compete to design and build giant structures made entirely from full cans of food. The structure we will be constructing this year is Binghamton’s own NYSEG Stadium. The canned food used in each structure will be distributed throughout CHOW to emergency food programs throughout Broome County including food pantries, soup kitchens, and other community meal programs. Please email Kyle Nedlik at kbnedlik@gmail.com if you are interested in helping out with construction or staging of the cans. 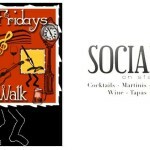 Join STYP & Lockheed Martin MST Connect Employee Network for a networking event at Social on State before heading out at 7:30 to a guided Art Walk for First Friday! Appetizers will be provided and a board member from the Broome County Arts Council will speak to the group about the vibrant art community in the area. Please RSVP so we can get an accurate count. 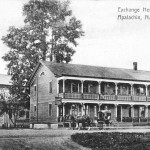 Join STYP for our first mixer at the brand new Ransom Steele Tavern in Apalachin! Networking for a Cause, the After Hours Networking Event, or BOTH. This event is presented by the Southern Tier Young Professionals, the Broome Leadership Institute Greater Binghamton Chamber of Commerce, United Way of Broome County, and Volunteer Administrators of the Southern Tier. From 5:00 to 6:00 p.m., non-profits will speed network with business professionals with the goal of recruiting new volunteers and board members for their organizations. 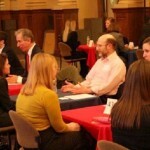 Sign up as a young professional looking for volunteer or board experience, or with a non-profit that you represent. Speed Networking will provide a fun way to discover non-profits in our community, while at the same time finding new ways to get involved and make a difference. After the Speed Networking ends at 6:00 p.m., networking will continue with other business professionals at the After Hours Event until 7:30 p.m. Complimentary hors d’oeuvres sponsored by: the BLI Alumni Association, STYP and United Way of Broome County. Cash bar will be available. Register and pay on-line by March 15 at www.greaterbinghamtonchamber.com, or make your reservations with the Chamber at (607) 772-8860. The event is FREE for chamber members (which you ARE if you are a current STYP member) or $15 if you are not.